Looking for the best earbuds or in-ear headphones to fit your lifestyle? You'll need to consider price, noise reduction, fit, special features and more. As LoveToKnow's Technology editor, I received a variety of in-ear styles to test and experienced positive results with the eight options discussed here. Consider your budget and your music listening preferences when narrowing down your selections. According to a PCMag.com review, Polk's Nue Era in-ear headphones provide "crisp, balanced audio performance at moderate-to-reasonably loud volumes." The reviewer indicates that the sound will appeal to those who prefer a balanced sound to particularly heavy bass. A review on 9to5Mac points out that these earbuds come with five silicone tips and two foam ones, making it very easy to find your ideal fit. The earpieces themselves have an oval shape that, according to PCMag.com, allow them to "rest against the back of the ear for a more secure fit." Order directly from Polk Audio. Designed to meet the needs of athletes, Monster's iSport Intensity earphones were rated mostly excellent by CNET reviews. The sound quality is as good, though not as rich as, other in-ear styles in the same price range, but that's because they're designed to allow some ambient noise to be heard - an important safety feature for runners, cyclists and others who exercise outdoors. These headphones fit inside your ears with SportClipTM, a patented design from Monster that keeps them held snugly and comfortably in your ear even during vigorous exercise. Three sizes of SportClips are provided with each pair for the perfect fit. ChipChick points out that "they're waterproof and resilient to sweat," qualities athletes are sure to appreciate." According to C-Net, Remix Remote in-ear headphones from v-moda are "one of the best overall values in the headphone category." They were named a C-Net Editor's Choice in spring of 2013 due to their "colorfully dynamic sound profile" and durability (the earpieces are made of metal and the cable is braided Kevlar). Cult of Mac also praises the durability of this product, stating that the company "seems to have pulled out all the stops to keep the Remix Remote from wearing out prematurely" - an advantage backed up by the two-year manufacturer's warranty. 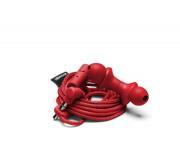 Cult of Mac praises Earjax Moxy earbuds for their great look, sound and other features. According to Mobility Digest, they are "very full sounding and have good bass to them, not overpowering but you know it's there," though the trebles and highs are not as pronounced as they could be. These high fidelity ear buds come with seven sets of silicone tips to allow wearers to get the perfect fit. The cable is rubber at the top and braided woven cloth at the bottom to minimize tangling. They come with a hard case outfitted with a carabiner clip for simple secure storage, a great add-on for those who travel, commute, or otherwise carry earbuds along for use on-the-go. PCMag.com describes Kransen by Urban Ears as "a budget earphone pair that delivers intense bass response at a very affordable price." The reviewer points out that purists may not love the sound, but it is ideal for those who prefer heavy bass without distortion. In addition to great sound, these earphones have some unique design features. The cable is designed to minimize tangling and, as coolsmartphone points out, the earphones snap together when in use, making it easy to securely hang them around your neck when not using them. They also feature an inline microphone and remote and come with three different size gel tips to get the fit just right. Kransen comes in 13 colors, including black, white and a variety of muted and bright tones. Order directly from Urban Ears. If you're looking for quality earbuds under $20, it's hard to beat Mojo by Wicked Audio. A review on NerdReactor.com describes them as "a great buy and value for the low price," indicating that they sound great across a wide variety of musical genres, as well as a streamed webcast. 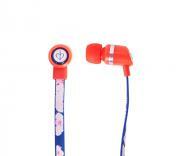 If you're looking for low-cost headphones in a stylish, feminine design, Chic Buds' Luv Buds are a good option to consider. 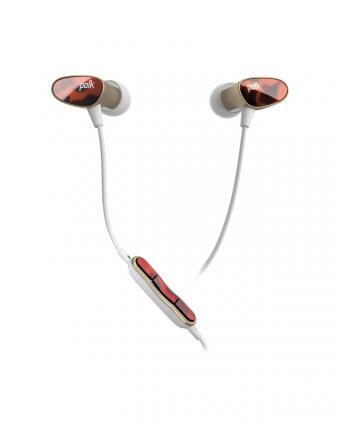 A review on Infoforum.com indicates that the sound quality is clear and that the oblong in-ear design is good for runners, as it doesn't bounce out while in motion. They feature an in-line mike and come with three sets of gel tips for the perfect fit. These ear buds come in a variety of trendy styles that coordinate with other Chic Buds accessories, such as iPhone and laptop cases, power banks, Bluetooth speakers and more. Order directly from Chic Buds. When lifehacker asked readers to nominate the overall best earbuds, the Enhanced Bass Hi-Fi Noise Isolating Earphones from Monoprice took top honors, largely because they provide such an excellent value. While the sound quality isn't as high as more expensive models and multiple tips aren't provided, with such a low price point they are a great option for people who want to enjoy a decent-sounding private listening experience on the cheap. 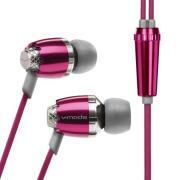 They are described on lifehacker as "the best headphones you'll find for under $10." Purchase directly from Monoprice. Volume pricing discounts are available if you order more than one pair.